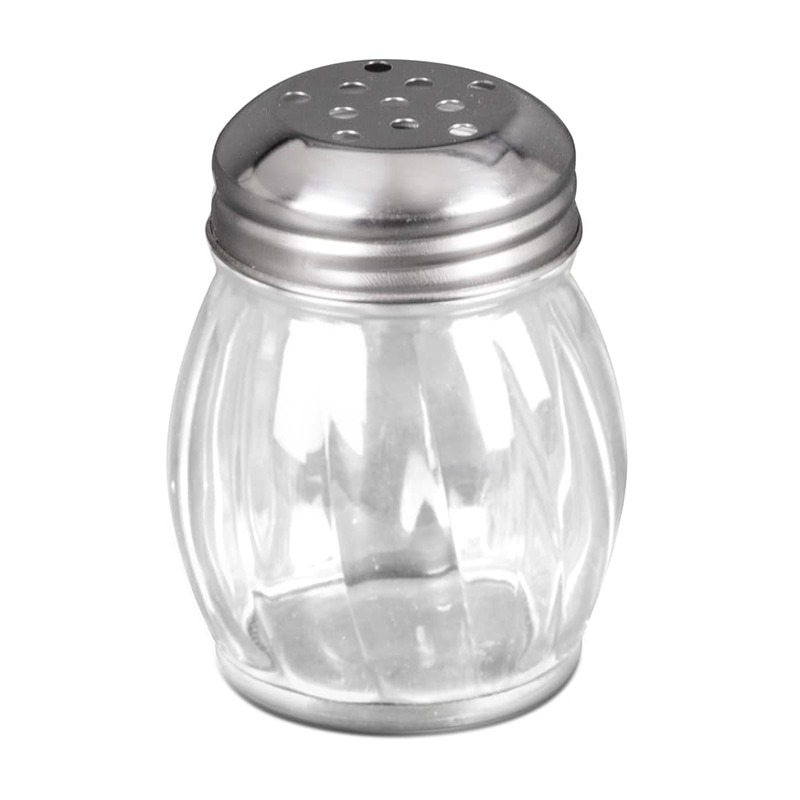 This Update SKRPF shaker comes with a chrome-plated metal top that is perforated with a size that allows you to dispense parmesan cheese, pepper flakes, and more. The glass jar has a classic swirl design and can hold up to 6 ounces. 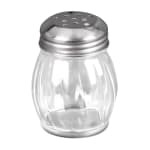 This shaker is ideal for use in pizzerias and Italian restaurants.